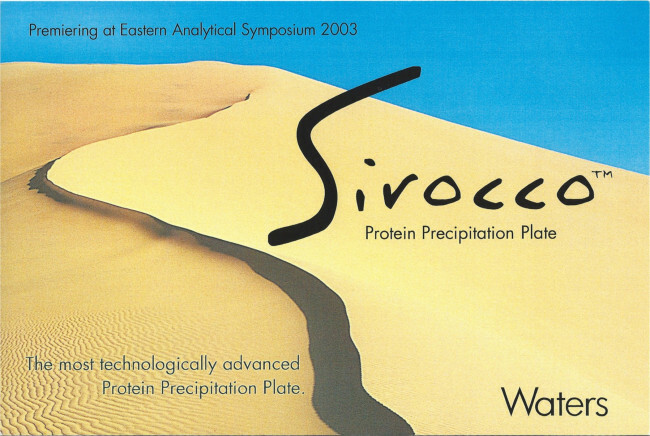 Logo, package and collateral marketing material design for the Sirocco Protein Precipitate Plate. 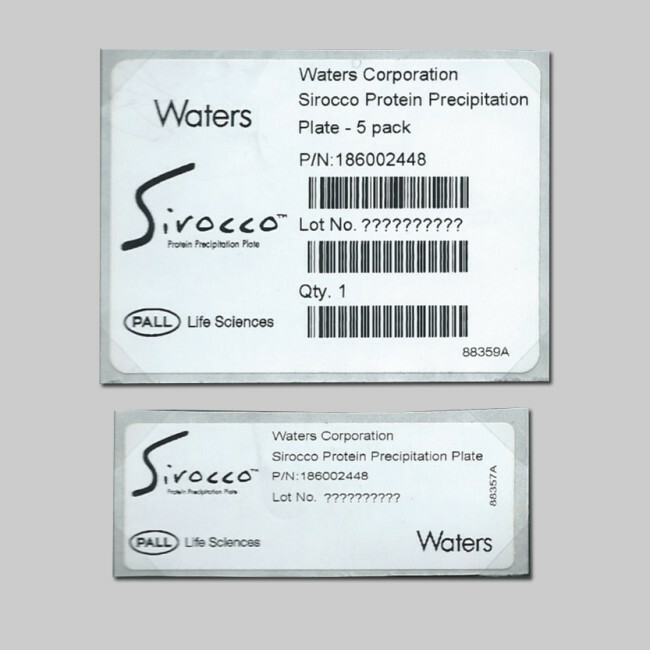 This package was designed to coordinate with the identity system devised for the Sirocco Protein Precipitate Plate sold by Waters Corporation and Pall Life Sciences. 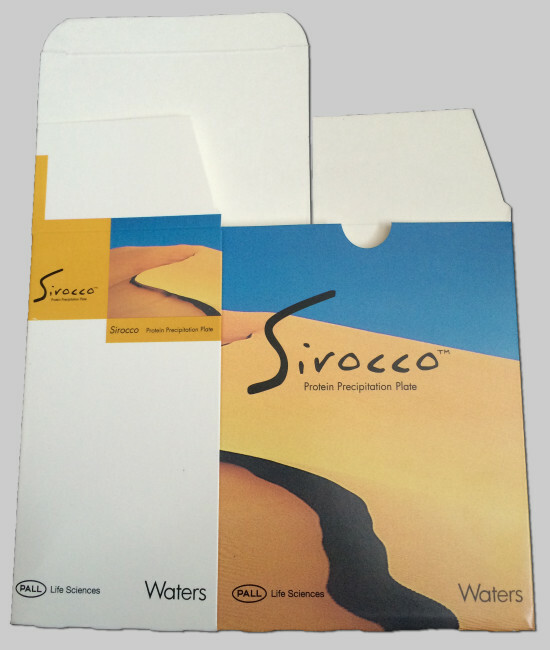 Using the identifying graphics and logo type, a package was created that fit all of the brand and manufacturing requirements. 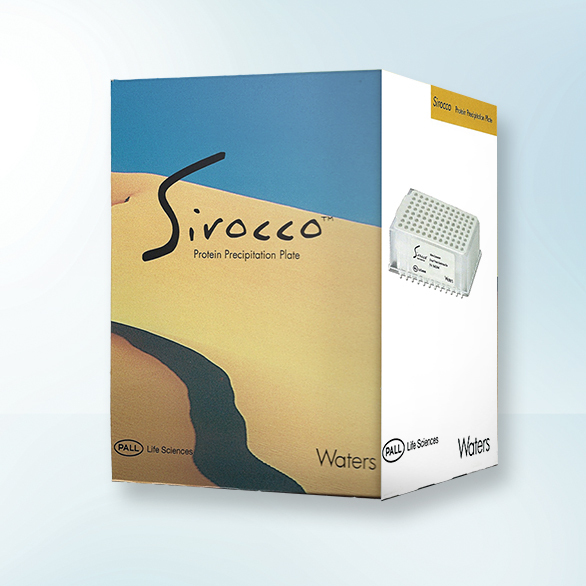 Created for Waters Corporation using Photoshop and Illustrator. 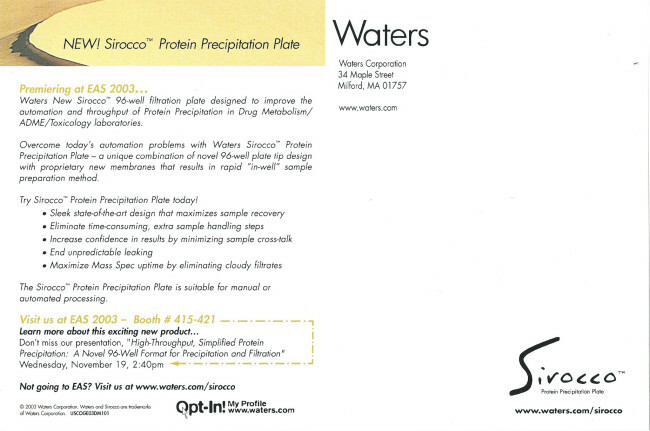 This collateral material was designed to coordinate with the identity system devised for the Sirocco Protein Precipitate Plate sold by Waters Corporation and Pall Life Sciences. 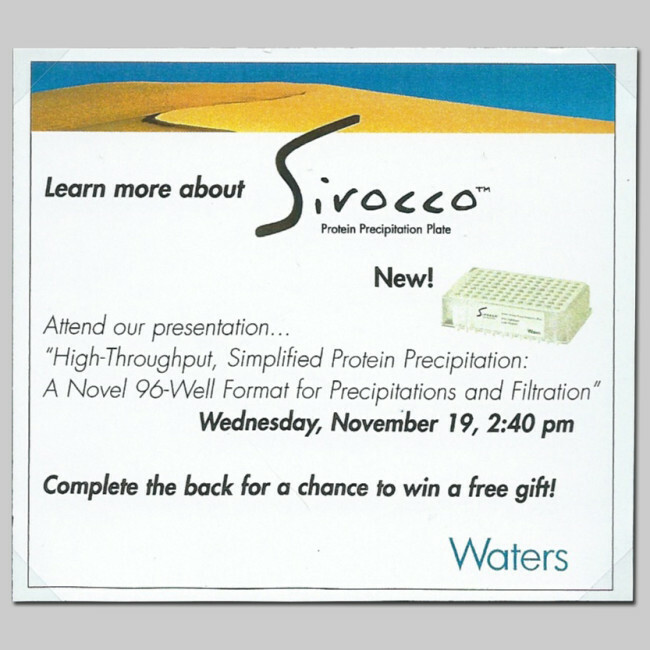 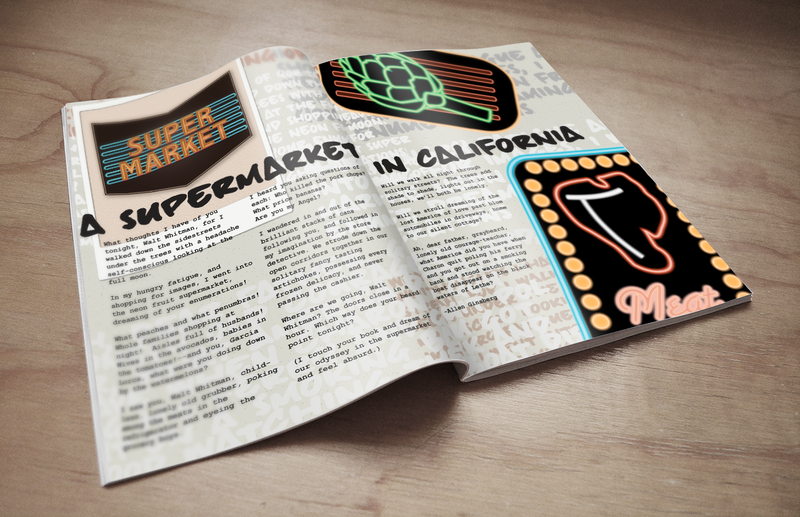 Using the identifying graphics and logo type, a mailer, series of labels and take-away card from a trade show were created. 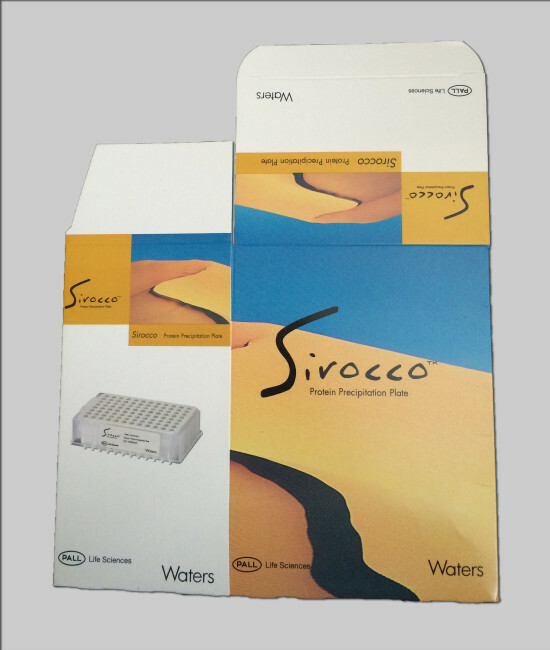 Created for Waters Corporation using QuarkXpress and Illustrator.